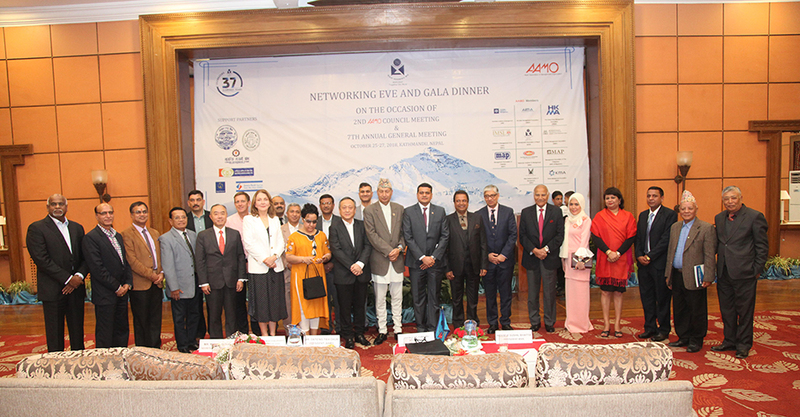 Kathmandu,Management Association of Nepal (MAN) organized Networking Eve and Welcome Dinner on the occasion of 7th Annual General Meeting and 2nd Council Meeting of AAMO in Nepal. Representatives from 7 countries participated in the Program. Honorable Member of National Planning Commission and President of MAN Mr. Sushil Bhatta Chaired the event. The Honorable Finance Minister and Chief Guest of the Event Dr.Yuba Raj Khatiwada stressed the need to revitalize Management Associations in different countries as per the need of changed development context. He praised the efforts of MAN in Nepal and its contribution in the development of management sector in Nepal and expects that the AAMO Council meeting would be successful to address management challenges prevalent in Asia Pacific Region. Hon. Dr. Binod Chaudhary, the keynote speaker of the event stressed on the role of MAN in the dynamic environment of trade and finance. Highlighting the changed context of Globalization, Artificial Intelligence, Cloud Computing, Big Data, he suggested that the National Management Organization like MAN should be ready to impart knowledge and skills to its members, government organizations and private sector on the said areas. Mentioning the 4th industrial revolution, he requested all the development stakeholders to prepare for the new world. President of Asian Association of Management Organization (AAMO) Mr. Dato’ Ng Tieh Chua appreciated efforts of MAN in organization AAMO Council Meeting in Nepal. He mentioned the objective of AAMO in fostering and building relationship between member countries of AAMO.He expected that this AAMO council meeting would be fruitful in terms of formulating strategic initiatives to expand AAMO activities in Asia Pacific Region. Hon. 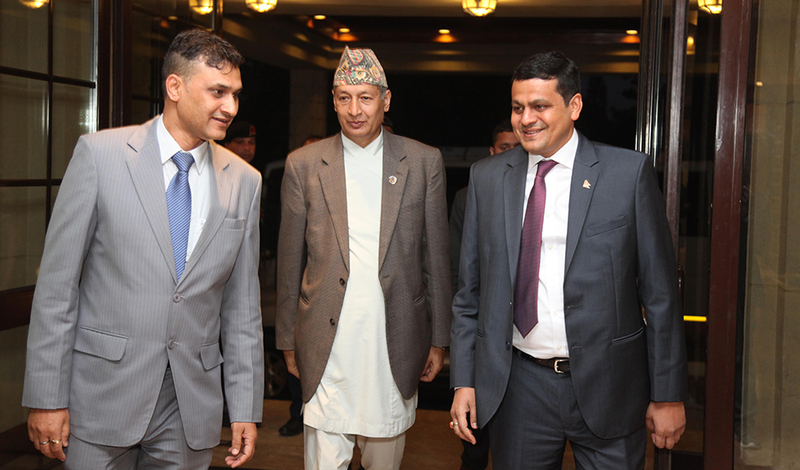 Member of NPC and President of MAN, Mr. Sushil Bhatta highlighted the importance of MAN in Nepalese management context. Highlighting the need to achieve Sustainable Development Goals (SDGs)by 2030, he requested developed countries affiliated with AAMO to provide required support in capacity development, organizing joint seminar and training, conduction research and policy discussions useful to Nepal. He closed his remarks by acknowledging the contribution of AAMO member countries, government of Nepal, and private sector in addressing the management challenge prevalent in Nepal and design solutions to uplift the backward section of society. Rereitering the motto of UN SDGs that No One should leave behind in the development process, he requested all AAMO member countries to identify and develop management tools and approach to address the prevalent problems in developing and development countries like unemployment, climate change, political unrest,and social issues. The AAMO Council Meeting is going from held from 25 October, 2018 to 27 October, 2018 in Kathmandu Nepal.